Bell-ringer might be an unfamiliar job to college students. 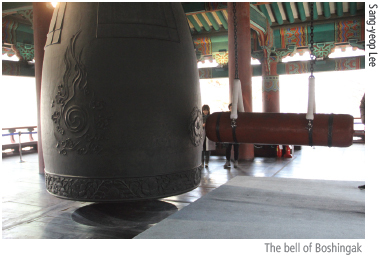 Would you explain what the bell-ringer does? 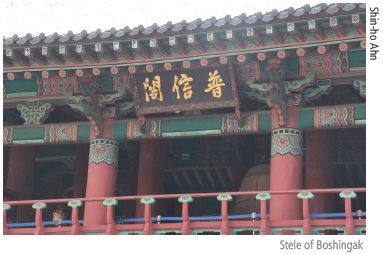 The bell-ringer maintains Boshingak and its bell. 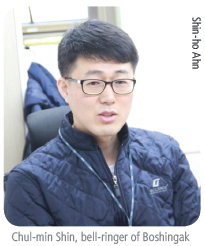 Beyond that, I developed several programs such as the Watch-Night Bell Event for Samiljeol and Gwangbokjeol. And I am also emceeing at the Watch-Night Bell Event for New Year’s Eve. 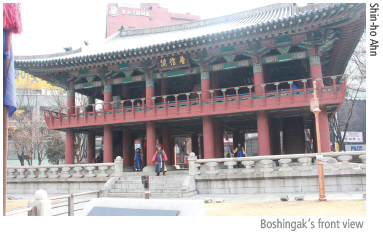 I develop historical experience activities about the bell and Boshingak.